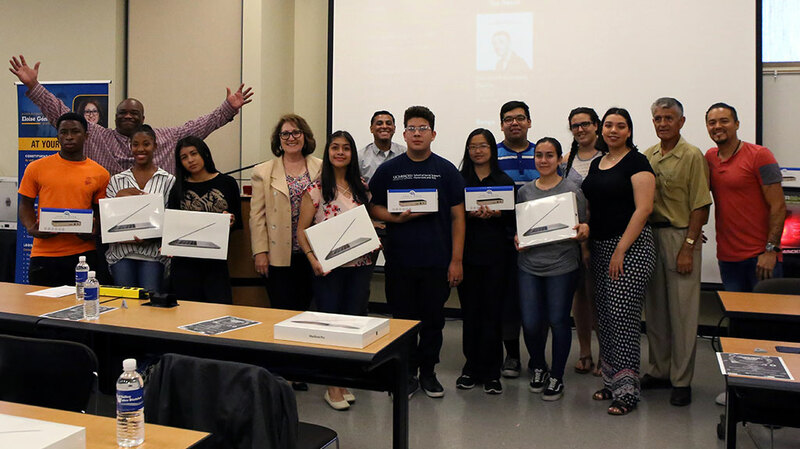 San Bernardino – Assemblymember Eloise Gómez Reyes (D-San Bernardino) partnered with Andy Vargas, the lead singer of Santana and San Bernardino Community College to provide 14 students in the 47th District with the distinct opportunity to learn music production. 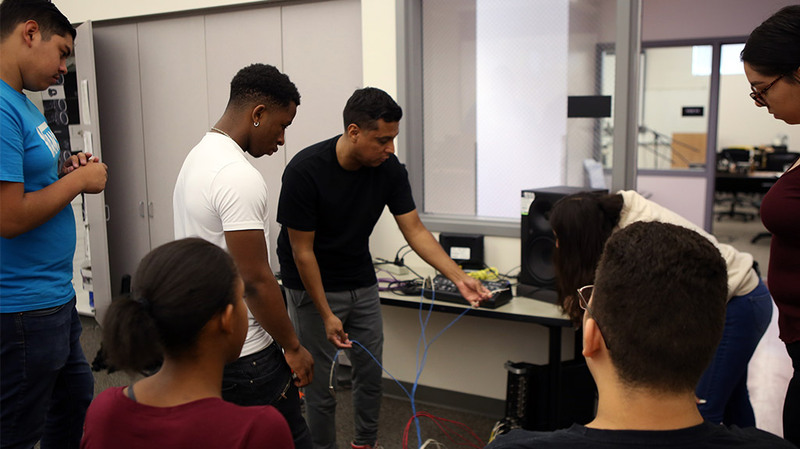 The Andy Vargas Music Production Academy is a 6-month program that began in April and will culminate in October with a graduation performance ceremony and issuing of certificates. The training was provided free-of-charge to the students. The students are receiving lessons in engineering fields, music writing, singing, licensing and marketing and skills on relationship building and networking. Students who are participating, attend San Bernardino City Unified School District, Colton Joint Unified School District, Fontana Unified School District, and Rialto Unified School District. This pilot program will allow Assemblymember Reyes to analyze the program’s success and participation to identify public policy solutions that will help provide successful after school and art programs in our district. Assemblymember Eloise Gómez Reyes represents Assembly District 47 which includes the cities of Fontana, Rialto, Colton, Grand Terrace, San Bernardino and the unincorporated areas of Muscoy and Bloomington. We are asking for your continued support by donating to the Andy Vargas Foundation. With your help we can continue to support and contribute to all of the changes that we and our foundation friends want to see in the world. Philanthropy for our Youth is where it is at! Music education programs are a priority for a healthy community, and they need your support. © Andy Vargas Foundation 2019 - We strive to provide students with a clear understanding of education through music.